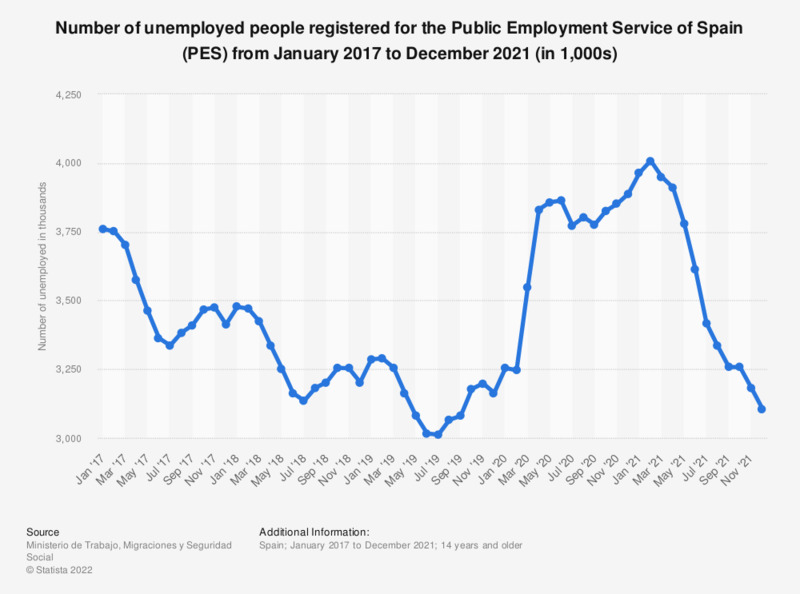 This statistic displays the number of unemployed registered for the Public Employment Service of Spain (PES) from January 2016 to April 2018. As of January 2016 roughly 4.15 million people were unemployed in Spain while, as of April 2018 the number of unemployed had decreased to approximately 3.34 million. - and have been actively seeking work in the past four weeks or had already found a job to start within the next three months." To see the number of unemployed according to the Economically Active Population Survey carried out by INE click here.